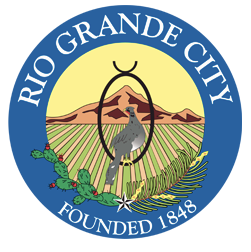 RIO GRANDE CITY — City commissioners hired new legal counsel Wednesday after their previous city attorney resigned in April. Attorneys Calixtro Villarreal and Reno Gonzalez were unanimously approved by the commissioners during a city commissioners meeting Wednesday afternoon. Mayor Joel Villarreal recused himself from voting on the item because he is related to Calixtro Villarreal. Villarreal will represent the city in its day-to-day operations while Gonzalez will represent the Economic Development Corporation and the municipal court. Their hiring comes after the previous city attorney, Jacqueline Salinas, resigned in April. Salinas has been reprimanded several times by the state bar over the last 10 years but she said that played no part in her decision to resign. Instead, she said, she resigned because at the time she was about to undergo a medical operation. She explained that all of her previous suspensions were due to her inability to complete her continuing legal education course on time because of medical reasons. However, a representative of the Texas State Bar’s disciplinary office said her most recent suspension was because she failed to abide a client’s instructions concerning a lawsuit. Salinas agreed to a partially probated suspension which is a combination of a period of active suspension, during which the attorney cannot practice law, and a period of probation. When asked about her official reason for stepping down, Mayor Villarreal said it was for personal reasons. To fill in for Salinas, the city brought on attorney Arnold Aguilar on a temporary basis. Aguilar is one of the lead attorneys representing the city in a lawsuit regarding the city’s trash collection services. However, Villarreal said the city needed to bring on someone who had the time to focus on the day-to-day operations, leading to the hiring of Villarreal and Gonzalez.